Pocket has such a wide ranging Trek program that I don’t buy a lot of the books anymore. Being an original Trekkie/Trekker, I limit myself these days to original series novels. 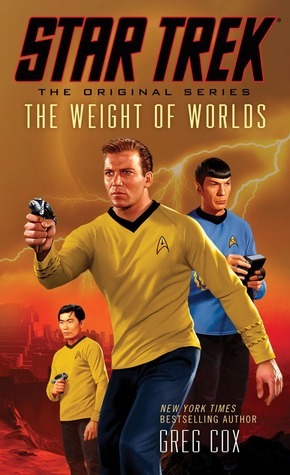 With the new film this year, the publishing program is lousy with TOS novels. 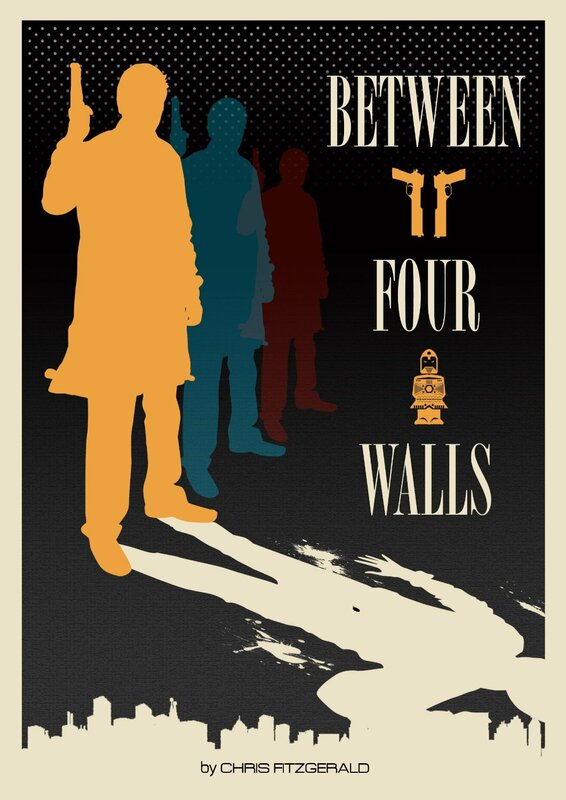 Greg Cox is one of my favorites(his Khan trilogy is a particular favorite) and THE WEIGHT OF WORLDS does that for which the TV series was always good: disguising commentary on real world events as science fiction. The Ilatl open a dimensional rift and invade the Federation. They come through at The Ephrata Institute, a think tank on a remote planet, with their Crusade to bring their Truth before it’s too late. Whether we want it or not, their religious fervor demands they convert us by whatever means necessary in order to save us by their version of the end of time. It matters not whether we want it. They will force it on us by fair means or foul. And their foul means is a gravity weapon that can increase one’s attraction many fold or get rid of it all together. When the Enterprise responds to an emergency SOS, Kirk and Spock find the inhabitants, scientists, artists, thinkers, in the midst of a new fever. The two officers are taken through the rift to Ialat to face the God-King. There they learn there is an underground aghast at what the priest have done to the sciences in their zeal to “save” the many races in this new dimension. They work from that side as the Enterprise is under attack in our dimension to be taken so that the Truth can be spread throughout. They never developed space travel, believing they were the only race. 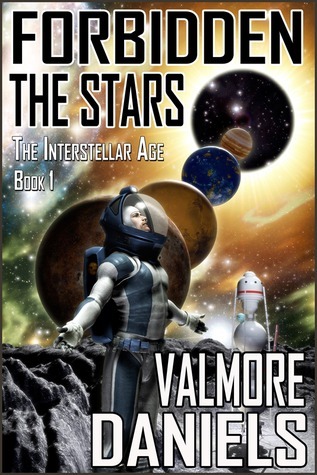 Finding a new dimension populated by uncounted races has warped the priesthood’s psyche and sent them on their impossible mission. A good one. Available HERE. 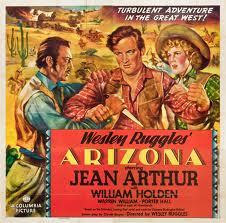 John Ford is probably the most celebrated western film director of all time. He won four Oscars as best director, though he didn’t receive one for my favorite of his westerns, THE SEARCHERS starring John Wayne. 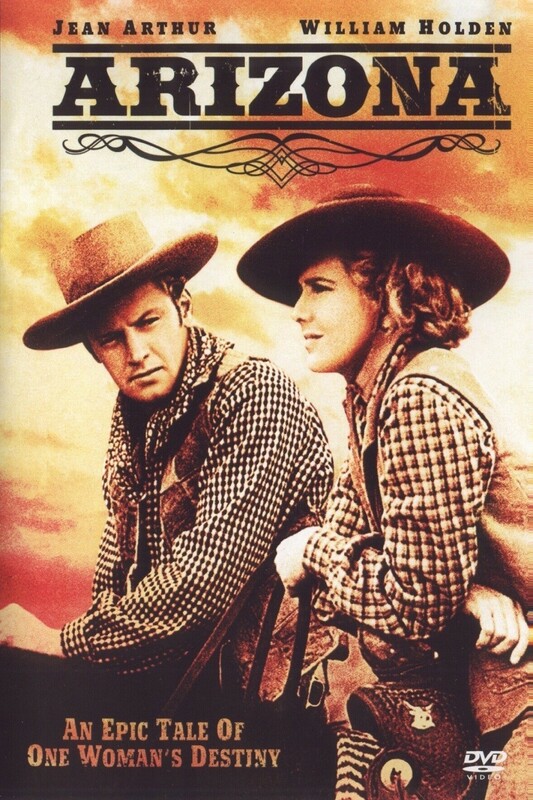 Never one to repeat himself, he was hesitant to direct this film which covered the same themes as The Searchers: returning white captives from Indian control. It’s said he did it for the money($225,000 and ten percent of the profits). His relationship with Stewart was less than cordial. The actor insisted on wearing a beloved cowboy hat that he’d worn in seven previous westerns and Ford hated the hat. Stewart won that battle, but lost the next time they worked together(the second of three pictures) when he wore no hat at all in The Man Who Shot Liberty Valance. Stewart plays small town Marshal Guthrie McCabe, a man who’s quite mercenary and has his own little empire going. A hundred a month and ten percent of the business profits of the woman, Belle Aragon(Annelle Hayes), who owns most of the town and has designs on McCabe. Richard Widmark is First Lt. Jim Gary, the cavalryman who’s a friend to McCabe. He’s assigned to bring McCabe to the fort by Major Frazer(John McIntire) for a proposition. White families who’s children had been take by the Comanche over the years were demanding the army get the back. The army couldn’t go in without breaking the tenuous treaty, so the idea was to send McCabe who’d had dealings with Chief Quanah Parker(Henry Brandon) before. Mccabe wasn’t happy. He was to get Lieutenant’s pay for the job, eighty dollars a month. He goes about it from a different angle, interviewing the white families and extracting what he could get out of them, which doesn’t set well with the Major or his friend Gary. McCabe doesn’t care. Shirley Jones is Marty Purcell there with her father. Her little brother had been taken when he was five, twelve years before. In one moment of drunken rage, McCabe tell them exactly what to expect, especially Marty’s brother. He would be a full out Comanche now, English forgotten, name forgotten, family forgotten. Jim Gary gets ordered to accompany McCabe on his mission. And since soldiers were forbidden, he was suddenly a deserter and should he not return, the record would stay that way. The two men make it to the village and find whites there. Two refuse to leave: a sixteen year old taken when she was nine and with two children and an older woman who didn’t want her pious husband and two sons to know she was still alive. 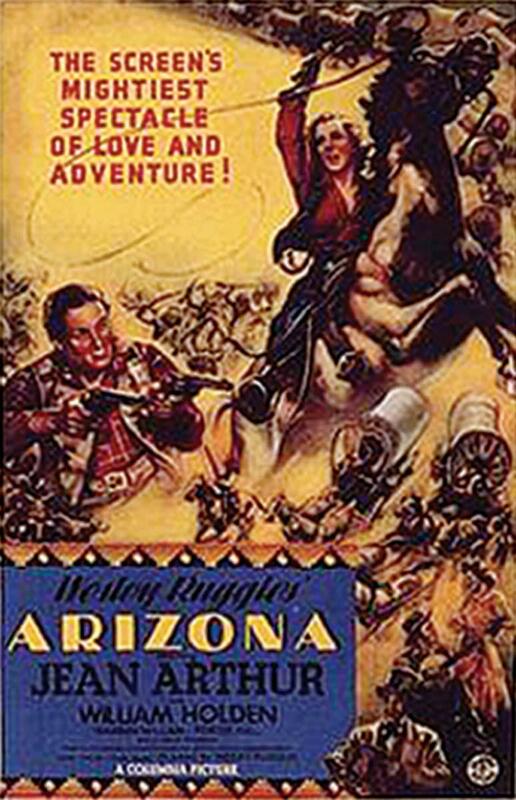 Two were returned with them: a young boy about seventeen, Running Wolf(David Kent) who fit two descriptions of boys taken and had to be tied to his horse and an Hispanic woman, Elena de la Madnaga(Linda Cristal), the wife of Stone Calf(Woody Strode). Neither captive does well in the white world. The boy is shunned by one family, costing McCabe a thousand dollars, and the other couple, the McCandlesses, William(Cliff Lyons) and Mary(Jeanette Nolan), take him. The father knows he’s not their boy, but Mary had slid her mental faculties since that long ago abduction and he wanted to give her some peace. All she could se was her little boy, not the Comanche warrior before her, and it didn’t end well. The boy was really Marty’s brother, a fact revealed at the bad end when he heard a music box he’d loved as a five year old and Marty had kept as a remembrance ever since. Elena was looked at as something horrible by the “good” white women at the fort and McCabe gets his chance to tell the lot of them off at a dance one night when they ask embarrassing questions and force their husbands not to dance with her. You know how it ends. can’t have a film without a little romance. TWO RODE TOGETHER was based on the novel Comanche Captives by Will Cook. A number of other actors, familiar faces, appeared in this one. Andy Devine plays a sargeant. Harry Carey, Jr. and Ken Curtis(pre Festus) paly a pair of drunken brothers whose mother refused to leave the Comanche camp and preferred to be thought dead. Air Force captain Boyd Chailland gets pulled back into a mission. His previous success, THE OTHER PILOT, marked him as a man who got things done. Tough things. An outbreak of Ebola in an isolated African village brings WHO officials. It’s obvious that someone has beat them there. Someone in a hazmat suit that took samples of the virus. Next a transmission is picked up from an island in the Seychelles, a frantic cry for help, that they’d screwed up. Boyd is in charge of the team that goes in to check it out. Labs were burning, a dead body sitting on the beach, one shot twice, and a number of dead monkeys. A notebook with the body on the beach spelled it out. The two men had been hired to grab a sample, develop it into something more, along with a vaccine. Now it was out there in someone’s hands for what purpose no one knew. The trail leads Boyd to a banker in Charleston, South Carolina, an old world French banker(whose family had been in the business for hundreds of years), and a sailing boat called The Chardonnay owned by the French family’s granddaughter. Sailing boats are a bit outside Boyd’s wheel house, being a fighter pilot by trade, but he takes to it as he goes undercover. Author Ed Baldwin has delivered another fine thriller full of action and colorful characters from all over the world. I learned a few things, details about stuff I only had a cursory knowledge of, and he kept me rolling over the pages in this second Boyd Chailland thriller. I’m ready for the next one. 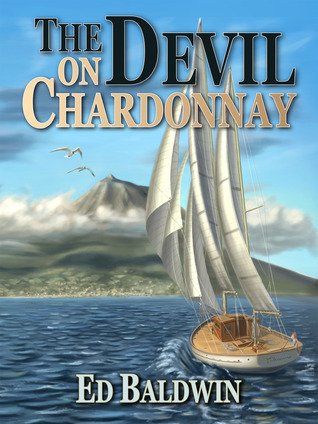 The Devil on Chardonnay can be had at a fine price. 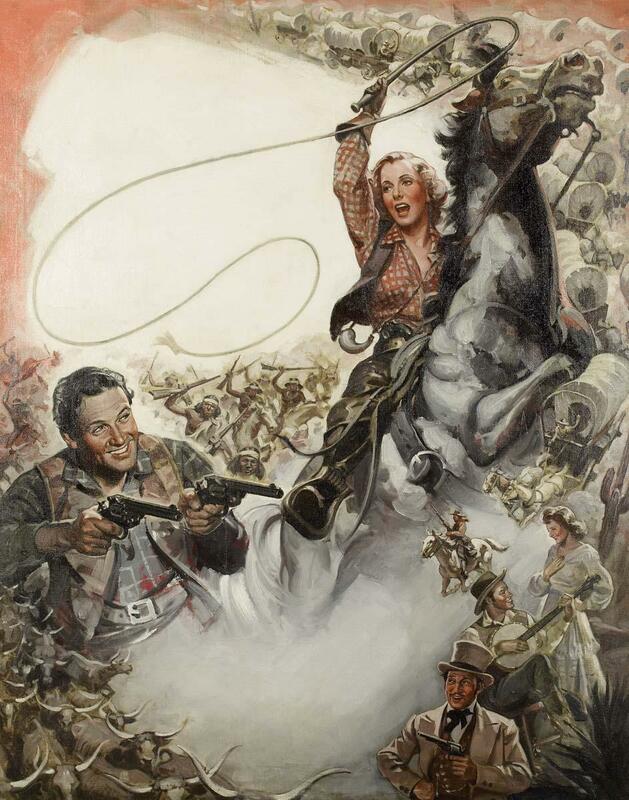 Jean Arthur is Phoebe Titus, an ambitious pioneer woman with long range plans and William Holden is Peter Muncie, a drifter who happens into Tucson in the Arizona territory where the pair meet. Phoebe is making a living making and selling pies. But her long range plan is to own the biggest cattle ranch in the territory. Muncie is taken with her and begins a courtship, plunking a banjo and serenading her one night. She becomes quite taken with him as well. Because there’s a freight operator, Lazarus Ward(Peter Hall) gouging folks, Phoebe teams up with general store owner, Solomon Warner(Paul Harvey), to start a new freight company that will offer fair prices. Phoebe wants Muncie to head up the four wagon train for them, but he has other ideas. He has a yen to see California and has joined a wagon train headed west. he promises when the wanderlust is done he will be back. In the next year that passes, the Union troops pull out to head East to join in the war with the south, the Confederacy briefly takes control before pulling out, and a man named Jefferson Carteret(Warren William) shows. Carteret is sort of an early version of a carpetbagger, out to make easy money on the backs of people that work for theirs. He ends up partnering with Lazarus Ward. A troop of Union soldiers pull in from California and Muncie is a sergeant with them. His hitch is almost up and he’s now ready to settle down. Phoebe is still interested, but is taken with Carteret as well. Phoebe has already started building her ranch and increasing her freight business. She lands a contract with the army delivering to them, temporarily derailed by Carteret and Ward’s efforts to paint her as a Confederate sympathizer, then she plans to send him to Nebraska to buy five hundred head of cattle with fifteen thousand she’d saved. Just before he’s to leave, three outlaw break into her home, blow the safe, and take her money. Stuck now, she’s visited the next day by Carteret with an offer to loan her the money, with suitable interest of course, and her ranch and freight business as collateral. Not suspicious that he would suddenly have the money to get her out of the spot all of a sudden, a man never seen doing anything but hanging out at Ward’s bar., she finally realizes what the truth must be. Ward and Carteret are determined that Muncie will never get back with the cattle. We get an Indian raid and a stampede in the midst of it, then the pair are married and Muncie goes looking for Carteret as soon as the wedding is over. He asks Solomon to open his store where Phoebe can wait while he takes care of business. Carteret has murdered everybody that can prove anything and is ready for the showdown. I liked the way they handled it. At the general store, Phoebe, in her wedding dress, is ordering supplies for the ranch in the middle of gunfire we here, flinching with every shot. I suppose it was because she was the big star of the film. Holden was a mere stripling of twenty-two at the time of the film. Arthur was forty. For more overlooked movies, check out SWEET FREEDOM on Tuesdays. A combination this week of ARCs and copies sent for review, freebies, and a handful I will always buy as soon as I find them. 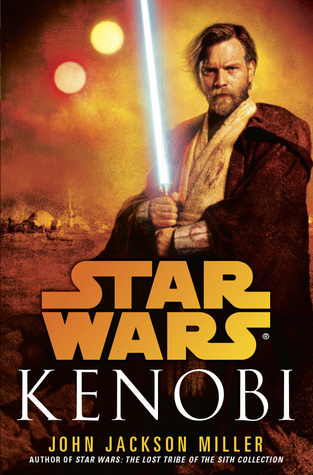 1: Star Wars: Kenobi(ARC) – John Jackson Miller: set shortly after Revenge of The Sith, it concerns Obi-Wan arriving on Tatooine with baby Luke and setting up housekeeping to watch over him until the right time. The way this one ended, while Luke is still a small child, I can see more coming. 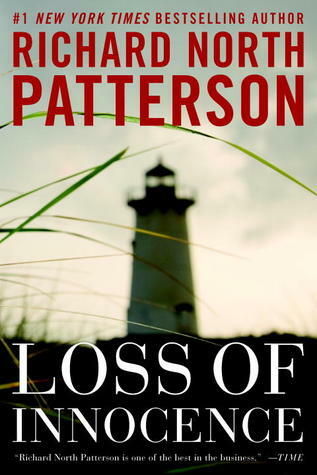 2: Loss of Innocence(ARC) – Richard North Patterson: this will by my first Patterson thriller in years. 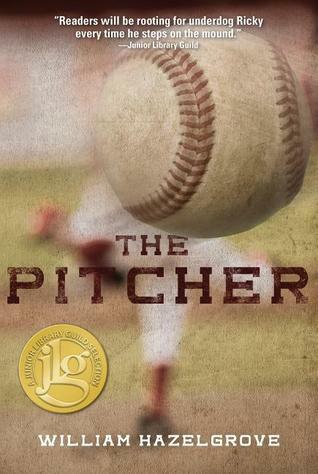 3: The Pitcher – William Hazelgrove: a non-genre novel of a small boy with dreams of the Major leagues, his mother, and the former Major league pitcher they convince to tutor him. The author sent me a copy for review and I was quite pleased, as I was with his previous novel. 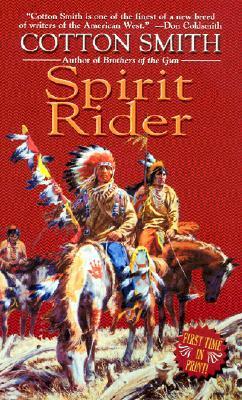 4: Spirit Rider – Cotton Smith: I’ve had the sequel for years and now with this one, they will get read. 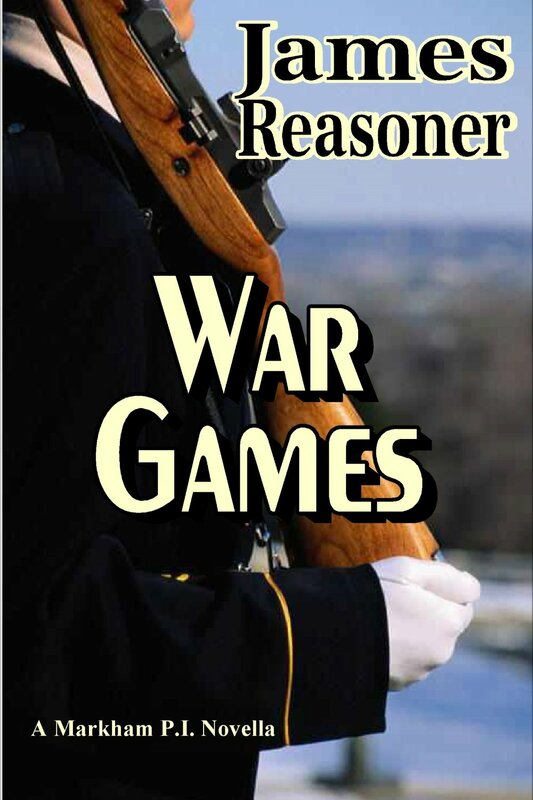 5: War Games – James Reasoner: what can I say. A Markham P.I. novella. I’ve enjoyed the first two early efforts come to ebook. One I had to get. 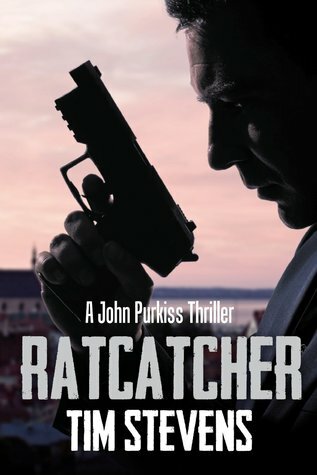 6: Ratcatcher – Tim Stevens: looked interesting and the price was good enough to give it a try. 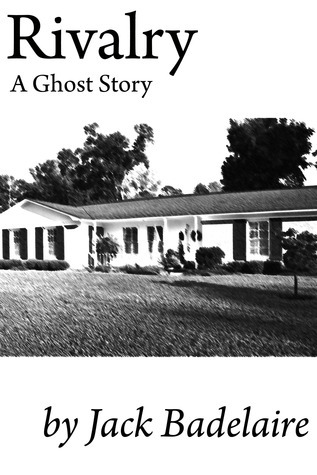 7: Rivalry – Jack Badelaire: a ghost story; I like the author’s work and it was priced low enough to make me jump. 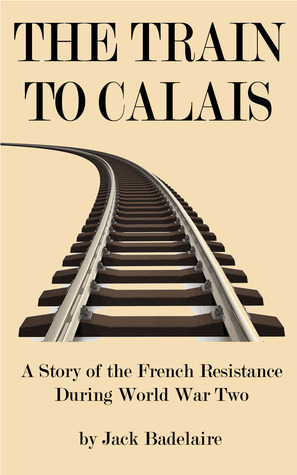 8: The Train To Calais – Jack Badelaire: set during WWII with the French resistance. 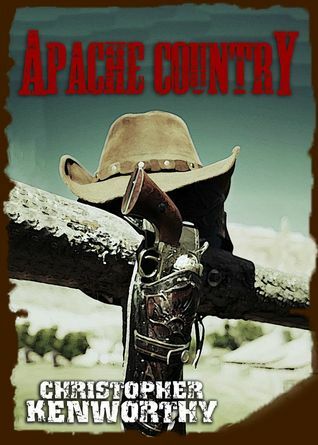 9: Apache Country – Christopher Kenworthy; a western picked for review at the author’s request. Reading it now. 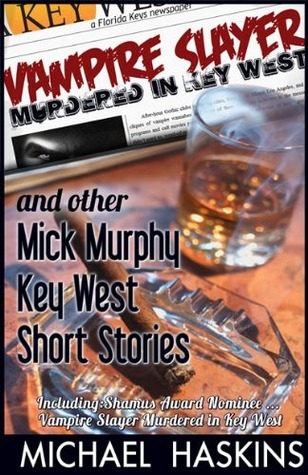 10: Vampire Slayer Killed In Key West and Other Mick Murphy Short Stories – Michael Haskins: a freebie, the title caught my interest. 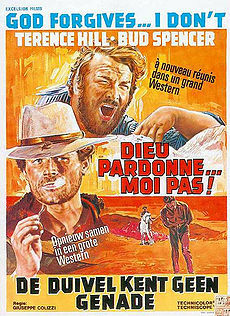 11: Pitchfork Justice – Chuck Tyrell: a Tyrell western is always a sure buy. 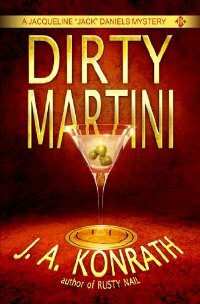 13: Dirty Martini – J. A. Konrath: not read Konrath’s work. Offered up free, I thought it might be a good place to start. Like I need another author to be buying. 14: Red Mountain – David Thayer: another author I haven’t yet read. Reference comment above. In this third Brynn Hollister novel(I covered the first two HERE), our favorite P.I., who lives and works in the province of Manchester, is hired by a man ripped off by a transvestite prostitute, his wallet stolen. The man cares nothing about the cash, identity papers, or personal items, just the key card for a storage locker. It doesn’t take Hollister long to recover the item. When the client doesn’t answer his phone, he drops by his home only to find the man dead in his car, apparently from a drug overdose, whether by accident or suicide he’s not sure. He doesn’t tell Peacemaker Shannon everything when he calls, as in what he was really looking for and that he’d found it. At the same time, Hollister’s best friend, and former co-worker, reporter Stewart Ramsden is looking into a missing man for one of the fellow’s neighbors. She’d heard loud arguments through the paper thin walls the night before. The Peacemakers don’t seem interested in looking into it and claim the man has contacted them. Then Ramsden turns up murdered. Hollister is determined to find out who killed his friend and just what’s going on as connections to the two incidents start popping up. Author Chris Fitzgerald has created a world in the aftermath of the third world war. Nuclear weapons have been banned. Manchester Province is walled off from the Wildness and the Wild Ones, as is most of the world. One can only get from one to the other by plane. I enjoyed this third adventure and look forward to more. It can be ordered HERE. 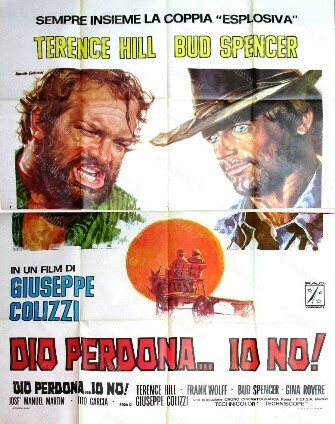 GOD FORGIVES…I WON’T, as opposed to the recently covered May God Forgive You, I Won’t, was the first pairing of Terence Hill and Bud Spencer in a film, who went on to fame in the Trinity films. Unlike those, there is nothing comedic about this one(the pair went on to play the same characters in two other films). 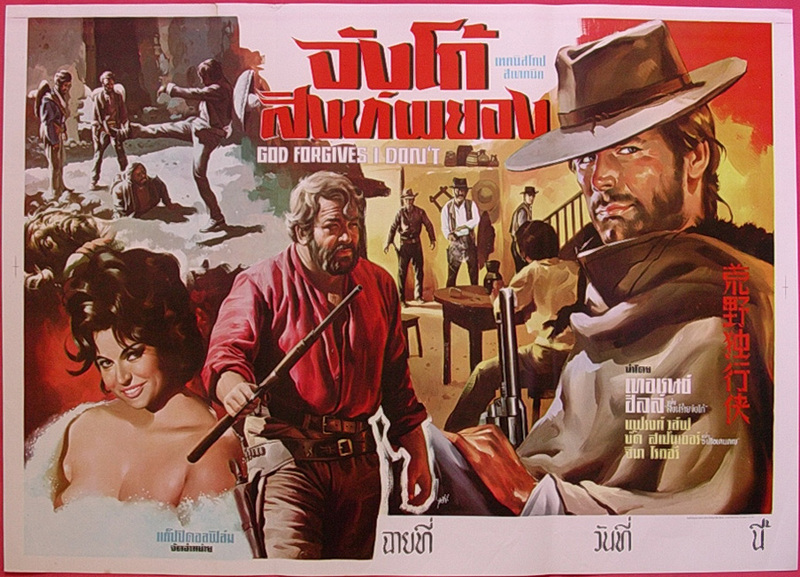 Depending on which country’s dub of this film, Hill played Doc Will/Wild Doc/Cat Stevens/Pretty Face/Django and Spencer was Earp Hargitay/Hutch Bessey/Dan Bus. The film seems to have had a checkered past before it eventually got made. 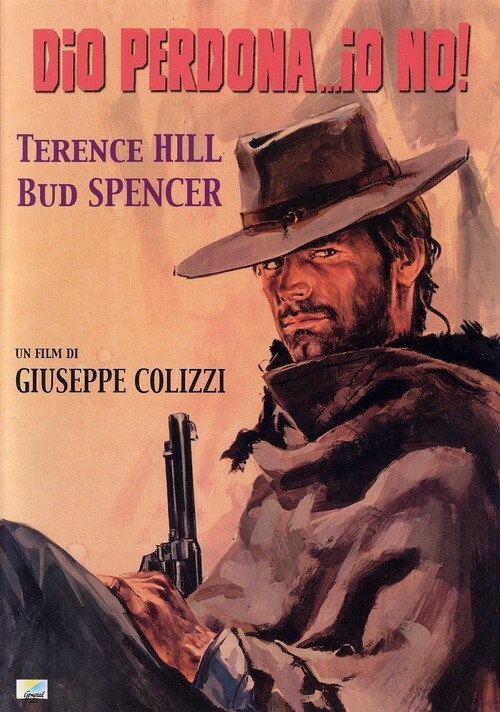 Director and screenwriter Giuseppe Colizzi had tried to get his thriller/western made for years, then sold it to another producer. He went on to work with Leone, both on the set and in post-production, on The Good, The Bad, and The Ugly. Another director took the reins and tried to get it going. The guy playing Hill’s part was slim and handsome. The story was he broke a toe kicking a strong box and had to drop out. The real story may have been cheating on his wife, she slaps him, and he falls down a staircase, breaking a leg. Colizzi bought the rights back and began casting the roles again. He thought of an old friend from the fifties, Carlo Pedersoli, a swimmer who represented his country in the Olympics. A call to his wife found he looked more like a wrestler these days, perfect, and he became Bud Spencer. Most of the time in this English dub, Hill is called Pretty Face, though Cat is said once. I never really heard a name for Spencer said though. The movie opens with a horrific scene as a train rolls into a station at the end of the line and crashes into the barricade. Everyone aboard had been shot to death and a strong box with a hundred thousand in gold coin is missing. Only everyone wasn’t dead. One man, wounded and seemingly out of his head, staggers off the other side of the train and disappears. Though we don’t see it,Hutch Bessey(Spencer) finds him and he reveals what happened before he dies. Hutch is an investigator for the insurance company and goes looking for Pretty Face. The description of the bandit and the elaborate plan Hutch recognized as the work of one man. Only that man had been killed, shot dead by Pretty Face, almost a year ago! Hutch wants to know what happened that night and Pretty Face is reluctant to tell him. When they bed down for the night, we get the story in flashback. 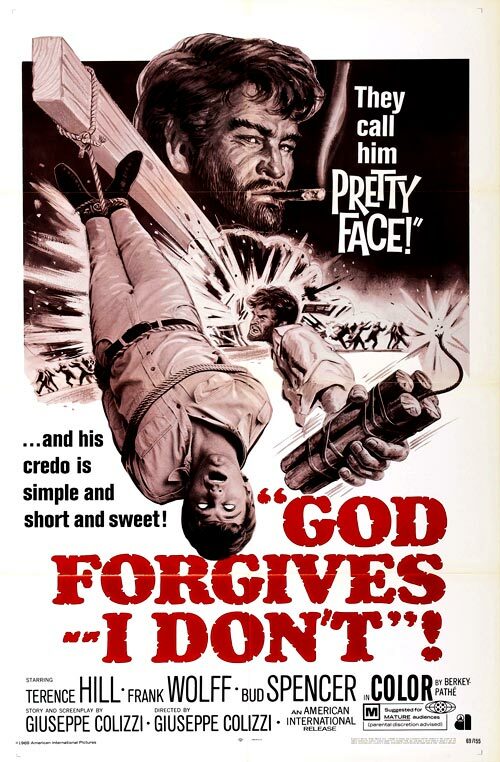 Pretty face was playing poker with an old friend, Bill San Antonio(Frank Wolff, a veteran spaghetti actor who also appeared in Once Upon A Time In The west and The Great Silence), and when he beat him, Bill wasn’t happy. He ordered the saloon emptied and set on fire, leaving the two men inside for a gunfight. If Pretty Face walked out, he was to be allowed to leave. Which is what happened. But for ten months now, he’d been having to defend himself from members of the gang. You see, while the gang was at Bill’s funeral, someone had killed the guards and taken the gang’s stash of loot. The gang figured it had to be Pretty Face. (a side note: Bill’s tombstone had the name Bill St. Antonio on it). Now that he knew his old “friend” is still alive, he sneaks out, taking Hutch’s horse with him. He wants to find out one,how the man was still alive, and two, get that money owed to him from the poker game. It was ten thousand in the pot and his pile in front of him. The rest of the film has both men pursuing their own trails, eventually meeting, where they steal the hundred thousand in coin and bury it, and Bill’s attempts to make them talk. The finale re-imagines the burning saloon showdown, only this time with dynamite. The trailer below is in German, but will give you an idea of the action. 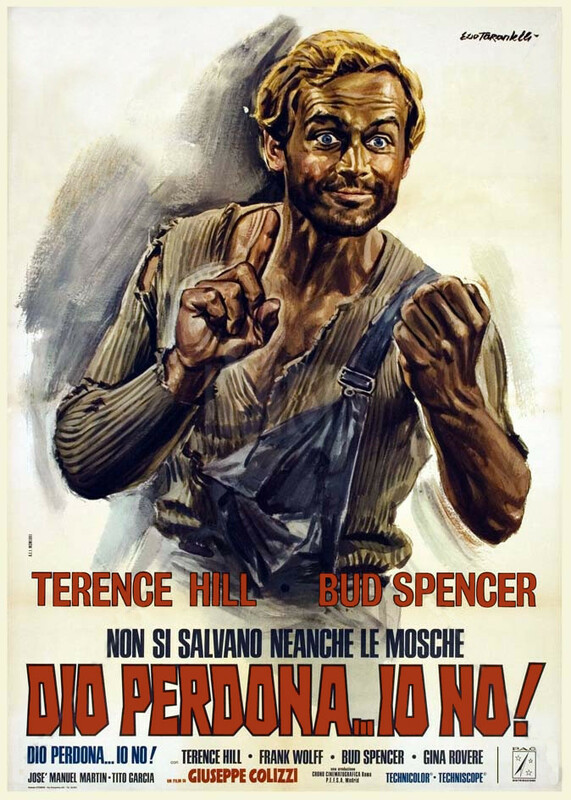 As was the custom of the time, Pretty Face becomes Django in this one to ride the coattails of the Franco Nero classic.